Built by one of Hemet's favorite builders, this "McMorran" home is known for its' oversized rooms & closets/storage. The home has dual master bedrooms with ensuite baths, on opposite sides of the house with the other two bedrooms and guest bath situated between the masters - ensuring privacy for all. The home is located in the well-established Southeast Hemet neighborhood on prime "Lore Heights Court", a cul-de-sac street. The home is situated on ~ acre with lots of amenities including: gated driveway leading to a 1,200 SF Dutch barn with attached work shop, resort style 20,000+ gallon tropics saltwater pool surrounded by mature palms & landscape, several fruit trees through out back yard, grapefruit, apple, meyer lemon and tangerine, parking for RV's/toy haulers - out of site, 3 car garage attached to the main house & much more? 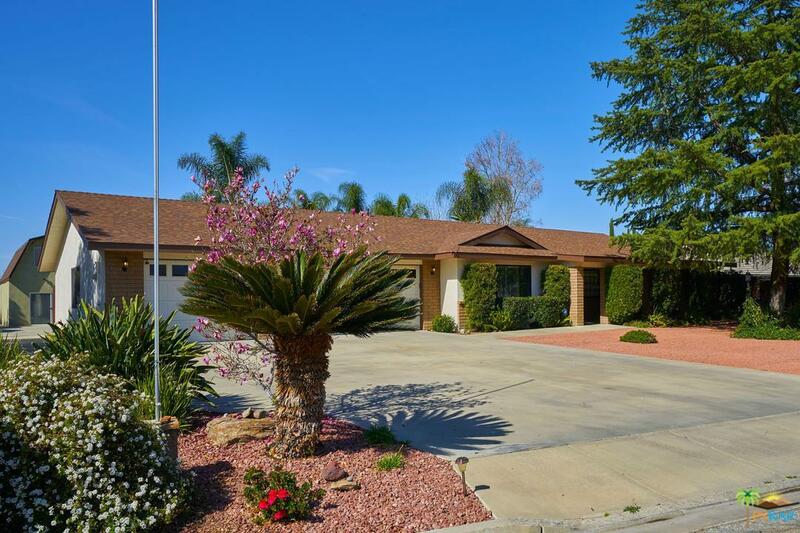 Pride of ownership throughout this beautiful California Ranch home. Easy to show!